LVI was a popular dentist continuing education program in the 1990's that used an unorthodox approach to numerous conditions including headaches, migraines, TMJ problems, crooked/worn teeth and aesthetic concerns. Some experts are now suggesting the protocols used resulted in a higher than average risk of dental malpractice. 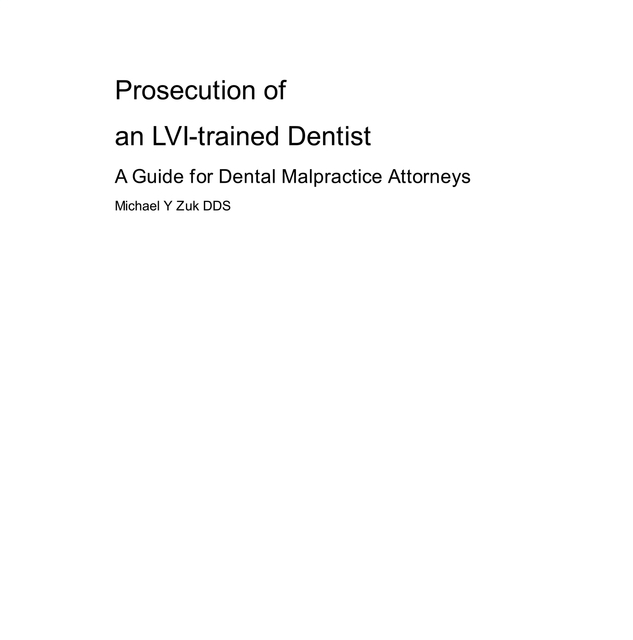 This book includes actual case with references which will be helpful to any attorney who is prosecuting a dentist believed to have been using LVI as his/her primary approach to full mouth reconstruction. There are still dentists who use the LVI approach to treatment and new malpractice cases are in progress at this time.